Curing: What Does Curing Do? I cure my cannabis in a cool (40 degrees) and dark spot. Currently that is the refrigerator. 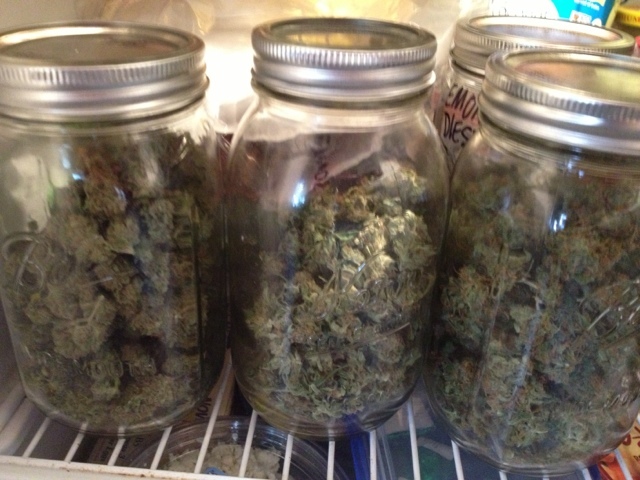 In the winter I have a spot that keeps my curing buds at the desired temp. I prefer that spot over the fridge cos' it gets congested & takes up a lot of space in there. In "aroma", "cannabis", "cool temps", "curing", "medical marijuana", "smoother smoke", "taste"